LEATHER! Low 80k Miles! Well SERVICED! Carfax CERTIFIED! LOADED w/ BLUETOOTH, POWER Windows/Locks/Mirrors/Steering, CRUISE Control, SIDE Airbags, ABS Brakes, AM/FM/CD/AUX/USB, Rear SPOILER, and so much more! AGGRESSIVELY PRICED to SELL QUICK! Mileage are Just Right! Condition is Great! Drive is Smooth! Tires are Good! Its Ready to Go! A MANAGERS' SPECIAL! Please Call INTERNET SALES at 678-217-7777 for Directions, Details, and a Test Drive! 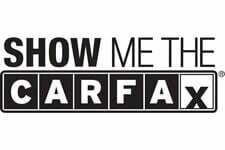 Please visit our website at Very www.MARIETTAUC.com for our latest Inventory, Pricing, Multiple Photos, and Free Carfax History Reports on All of Our Vehicles.Marietta Auto Mall Center is not responsible for any manufacturer voided warranty. We Strongly Encourage and Recommend all of our Customers to Please have any of our vehicles Pre-Sale Inspected by an independent service facility before Purchasing. Welcome to Marietta Auto Mall! We are a family owned and operated dealership located in Marietta, Georgia. We are conveniently located off I-75, exit number 261 in Marietta, 16 miles north of downtown Atlanta. Exit 261 (Lockheed Dobbins exit) go west approximately 4 miles and we are on the left side at 875 S. Cobb Dr. Please visit our website at www.Mariettaauc.com for a detailed description and additional photos of -this vehicle or contact a product specialist at 678-217-7777. We specialize in pre-owned-off lease import automobiles. We pride ourselves on excellent customer service and a sales team dedicated to you, our valued customer. We buy great cars, keep low overheads and pass the savings on to you. Our cars are scrutinized at the time of purchase, with attention to details in order to being you the highest quality car value at the best possible price. Extended warranties are available on all cars we sell. All our vehicles undergo a thorough inspection on site; however customers are welcome to take the car for an additional inspection at a reputable local service center. We offer assistance with Financing options, please do not hesitate to contact us. We may be able to offer options for customers with special credit needs. For Out-of State customers: *Option to have independent car inspection completed. *Information and assistance available in obtaining financing in other states. *Transportation- we can assist in arranging third party transportation services to deliver your vehicle. We look forward to serving you! Please contact out knowledgeable and courteous sales team with any questions you may have. Contact us today at 678-217-7777 for more information, or fill out our Online Credit Application to begin the pre-approval process today. 6.5% Ad Valorem/Sales Tax, $20 Tag & $18 Title. Out of state buyers are responsible for all state, county, city taxes and fees, as well as title/registration fees in the state that the vehicle will be registered. Contact Marietta Auto Mall Center today for more information on this vehicle.